Description: Discrete Input Module 90-70 IC697MDL654 48 Volt DC Positive/Negative Logic, 32-Point Input Module, 32 Points - Four isolated groups of 8 points each, Positive/Negative Logic Compatibility, Proximity switch compatible, Input filter selectable* - 1 ms or 10 ms, One input configurable as interrupt. 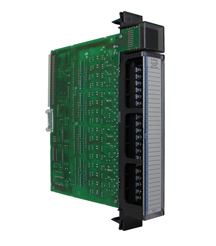 The 48 Volt DC Pos/Neg Input Module 90-70 IC697MDL654 provides 32 input points in four isolated groups of eight points each. Click here to download IC697MDL654 PDF for more information. To learn more about the Series 90-70 Family, click here.